NC Family is working with members of the North Carolina General Assembly and other pro-life advocates to determine the best path forward in light of this week’s ruling by a U.S. District Court Judge in North Carolina that effectively struck down a state law banning abortion after 20 weeks of pregnancy. Judge William L. Osteen, Jr. stayed his order, however, “for a period of sixty days” to allow the judgment to be appealed or to give the North Carolina General Assembly time to consider “legislative alternatives” in response to his ruling. The opinion came as the result of a lawsuit filed by the Center for Reproductive Rights, the American Civil Liberties Union, and Planned Parenthood. An appeal of the case would take it to the U.S. Court of Appeals for the Fourth Circuit, which has become one of the most liberal federal appeals courts in the country. Legislation may be drafted to create a “viability” standard for abortion. The determination of viability, however, according to Osteen’s ruling, would be left up to the doctor, who in most cases is not a trusted family physician, but an abortionist in the business of ending the life of unborn babies. According to Osteen’s opinion, “North Carolina has banned abortion by statute for over one hundred years.” In 1973, following the U.S. Supreme Court’s Roe v. Wade decision, state law was amended to legalize abortion before 20 weeks. 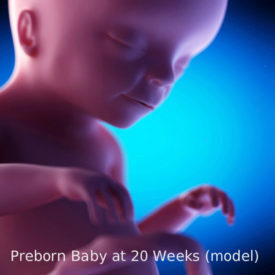 Exceptions were also built into the law to allow abortions after 20 weeks if the “life” or “health” of the mother was at risk. According to Roe v. Wade and companion 1973 opinion Doe v. Bolton, the life or health standard essentially allows abortion for any reason. In 2016, North Carolina law was amended to allow abortion after 20 weeks only in the case of a “medical emergency,” which is a much more limiting standard. Clearly, advances in medical technology, neonatal care, medical treatments, and ultrasound equipment continue to make viability, or “life outside the womb,” possible and recognizable at earlier and earlier stages. Regardless, bills have been passed in states like New York, and have been proposed in states like Virginia, Vermont and even North Carolina (two years ago), to allow abortion up until and even after the delivery (in some cases) of a newborn child. On the other hand, 12 states (Alabama, Arkansas, Indiana, Louisiana, Michigan, Nebraska, Ohio, Oklahoma, South Carolina, South Dakota, Texas and West Virginia) signed on to a friend of the court brief in this case in defense of North Carolina’s 20-week abortion ban. This callous disregard for human life at its earliest and most vulnerable stage in an attempt to defend an indefensible political mantra is becoming more and more apparent across our nation today. Please pray for wisdom and favor as we seek a meaningful solution to this incredibly disturbing and potentially deadly court ruling.